This event is co-hosted by the Institute for Security Studies and the Government of Ireland. The lack of cooperation by states is a major factor limiting the effectiveness of the International Criminal Court (ICC). The UN Security Council and the ICC’s Assembly of States Parties (ASP) can deal with this problem. The council should take decisive action when it refers situations to the ICC. 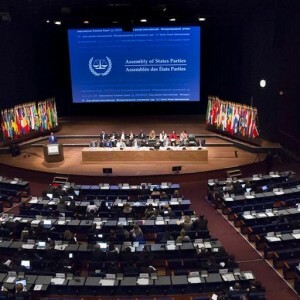 During the course of investigations and/or prosecutions, both the council and the ASP can promote cooperation or address non-cooperation of states. The side event will discuss findings from a forthcoming ISS report on how the Security Council can promote state cooperation with the ICC. Attendance at this side event at the 17th ICC Assembly of States Parties requires prior accreditation from the Secretariat of the ASP.